Cork is composed of dead cells that accumulate on the outer surface of the cork oak tree. It has a honeycomb like structure consisting largely of empty space; its density (weight per unit volume) is one-fourth that of water. The low density nature cork makes it useful in products like life preservers and buoys. The large amount of dead-air space makes cork an effective insulation material for both temperature and noise. Cork is fire retardant; flames will only char the surface, and no toxic fumes are generated. Cork has a very high threshold for wear that it is actually used to polish diamonds. If you cut the surface of cork turns many of the microscopic cells into tiny suction cups, creating an effective non-slip surface. In addition to being flexible, cork is highly resilient. After being crushed under a pressure of 14,000 lbs/in2 (96,000 kPa), cork will regain 90% of its original size in 24 hours. Cork absorbs neither dust nor moisture, and it resists both rot and insects. 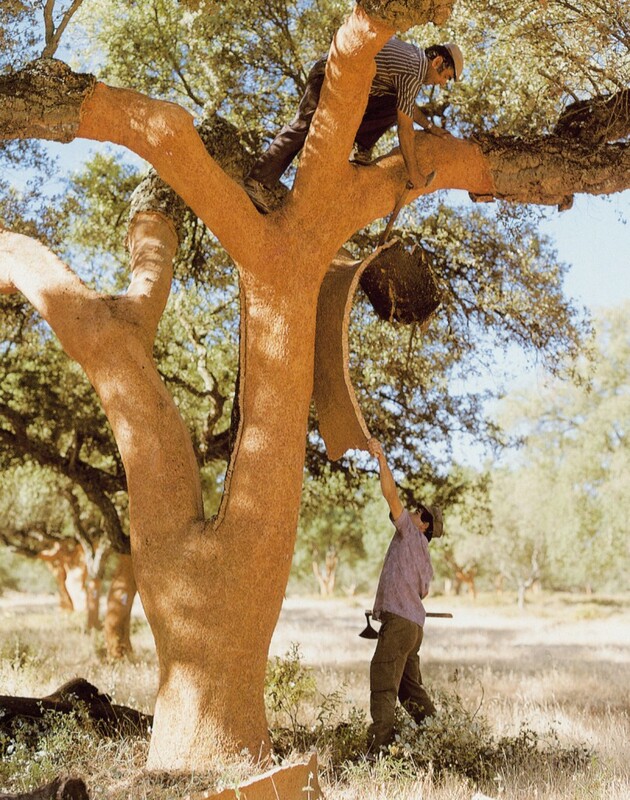 Cork is harvested from the bark of the Quercus suber tree, more commonly referred to as a cork oak tree, which is grown in the Mediterranean region and has a life span up to 250 years. After the first 25 years of growth, the tree is stripped of its bark for the first time using traditional hand labor methods. This process is repeated every nine years with little or no affect on the health of the tree. During each harvest, about 50 percent of the bark is removed. Unlike traditional wood flooring, the entire tree is not cut down, only the outside is removed. Harvesting does not harm the tree and a new layer of cork bark grows, making it a renewable resource. Ultimately, old age is what kills the trees, not the harvesting process. 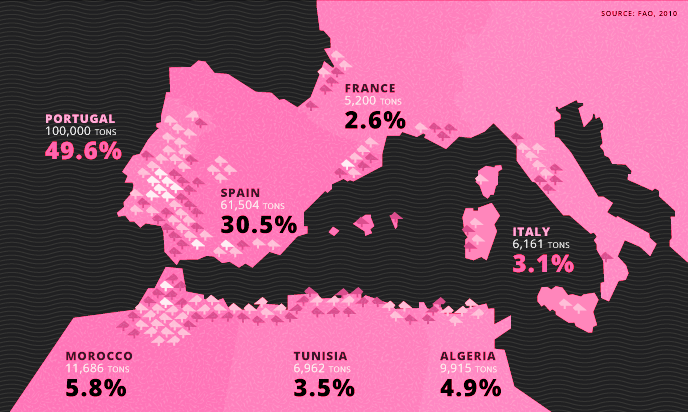 Similar to growth of the raw material, manufacturing methods are also geared to protect the environment. To produce cork flooring, virgin cork bark and post-industrial waste cork from the manufacturing of other cork products is ground into small granules. During the manufacturing process, all raw materials are consumed, either for the finished flooring product or as an energy source. Production waste of cork dust and tree trimmings are burned in furnaces that supply heat to bake the cork tiles. The benefits of cork don’t end there. 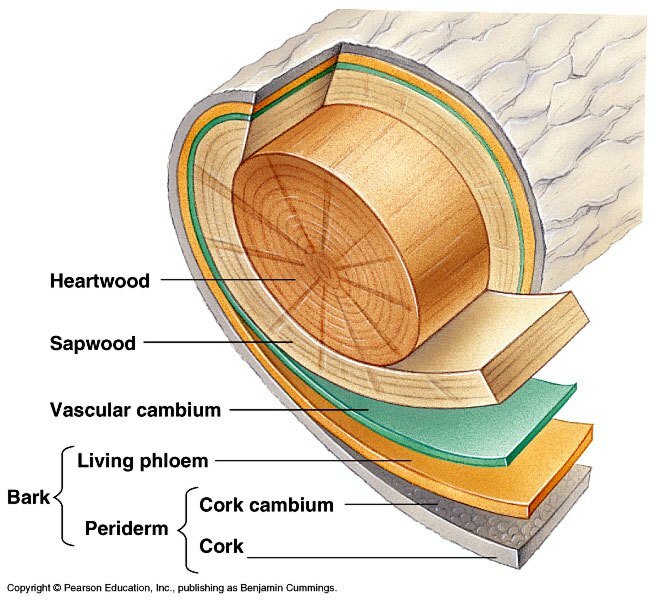 The bark contains a substance calledsuberin, a waxy waterproof substance present in the cell walls of cork tissue and a natural insect repellent. Suberin also protects cork from fire and when cork is burned, it does not release any toxic gasses. And to add to its bounty of riches, the insulating properties of cork flooring contribute to energy efficiency. Experts say that even a cork under-layment will provide significant insulation in the cold months. Cork is a completely natural product, largely unchanged by processing. 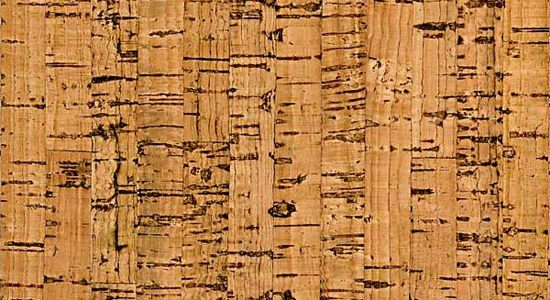 Cork is naturally fire resistant and it does not release any toxic gases on combustion. Due to the elastic nature and miniature cells composition, it is an extremely durable flooring material. Cork is worth considering for people with allergies. Due to the presence of a naturally occurring substance called suberin, cork is naturally resistant to deterioration and water damage, resists the growth of mold, mildew, bacteria, prevents the cultivation of mold, and keeps away bugs and dust mites. Cork flooring is warm under foot and insulates heat and cold. Cork floors have a very long life and can be repaired if damaged. The daunting task of re-finishing or re-staining cork can become a burden due to the nature of the material. Cork must be initially sealed, and re-sealed every few years in order to protect the integrity of the material by keeping dirt and moisture at bay. Since cork has a thin outer layer, moisture and excessive dirt can damage the flooring. In addition to the added maintenance of sealing the floor, cork cannot tolerate regular cleaning products and, therefore, requires special attention. A solvent paste wax is recommended, but this process can be rather time consuming to apply. Sweep or vacuum your cork floors regularly to remove dirt, dust, grit or debris which may act like sandpaper and will scratch any floor. This will prevent abrasion or scratches on the surface of cork floor. To clean a heavy stain or spill, use only the cleaners especially recommended for cleaning cork floors. Cork floors being a natural wood product can absorb moisture. Never allow any liquid to stand on cork floors; water can seriously damage the floor over time. Damp mop the floor at least once a week or as required. Avoid wet mopping. Be sure to use only a ‘damp’ mop as excess water will harm the floor in the long term. Do not flood the floor while cleaning or mopping. You can use mild wood-floor detergent once in a while for cleaning cork floors thoroughly. Use only non-abrasive soaps and cleaning materials when cleaning cork floors. Do not use oils or waxes or ammonia-based cleaning products. Never use harsh solvents or cleaners; many solvents can discolor or damage the floor’s surface.